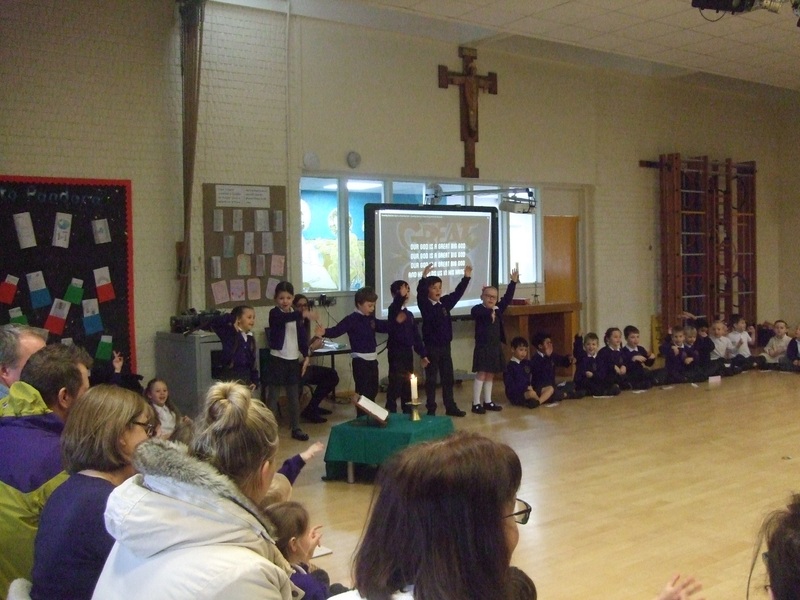 We hope you have all had a wonderful Easter break. 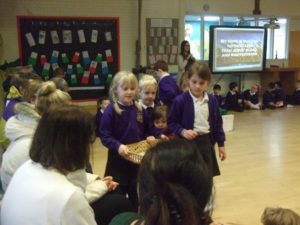 It has been lovely to see the children coming back into school so settled and ready to start the summer term. 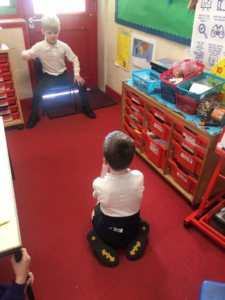 We have enjoyed learning all about the importance of sun safety in English ready to write an information text to tell other schools in the area how to stay safe in the sun. 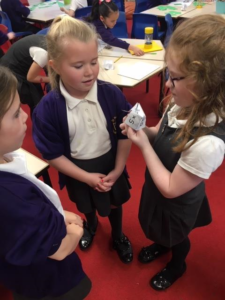 In maths we have been looking at the properties of 2D and 3D shapes. Please could you encourage your children to talk about how many faces, edges and vertices 3D shapes have around the home. 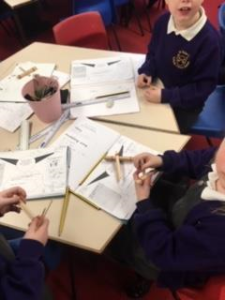 In Science we have begun looking at living things and their habitats and thinking about if it really matters which way round a seed is planted as to whether or not it grows correctly. 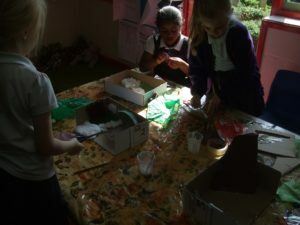 The children have made their predictions ready to find out the answers after we have planted some for ourselves! 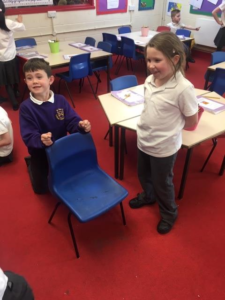 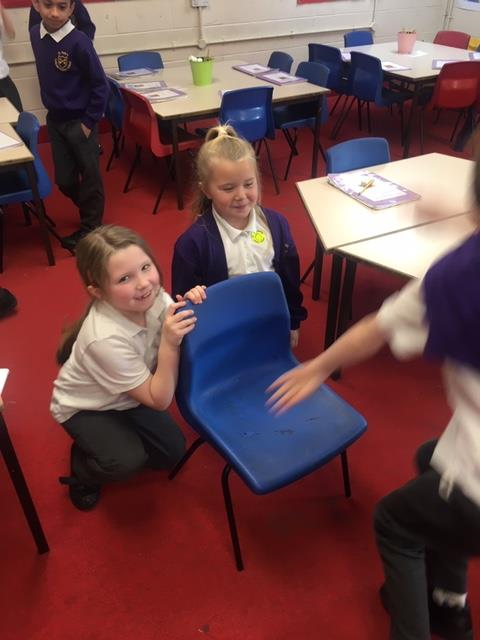 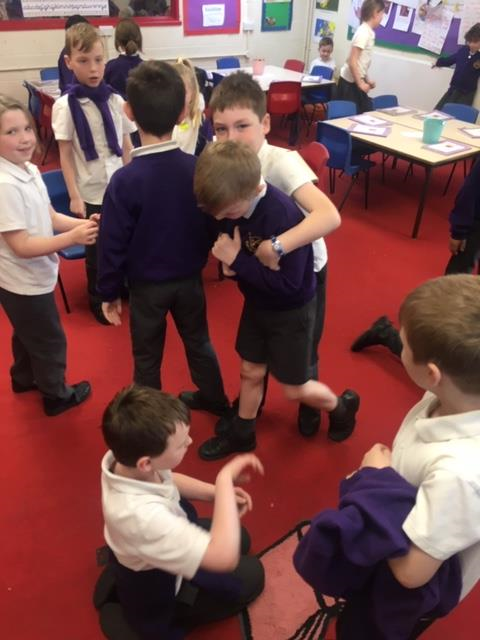 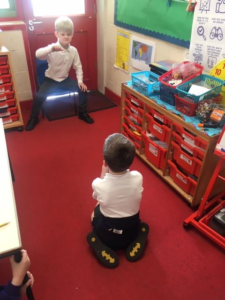 The children in RE enjoyed acting out the Parable of The Unforgiving Servant. They showed lots of expression to demonstrate just how the characters might have been feeling. 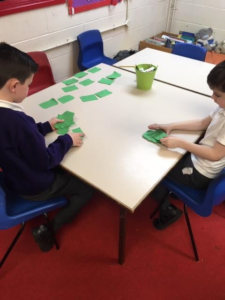 Please can the children continue to read over the holidays and practise their times tables. 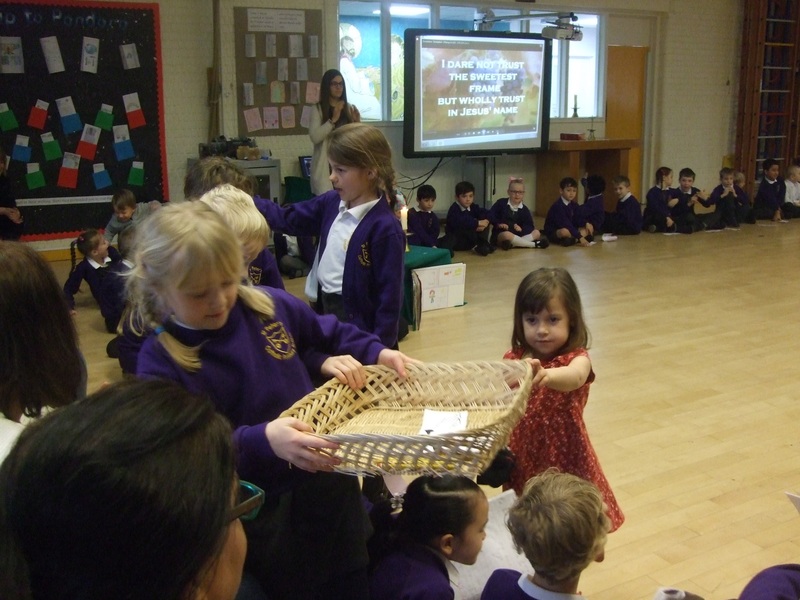 We hope you have a wonderful Easter. 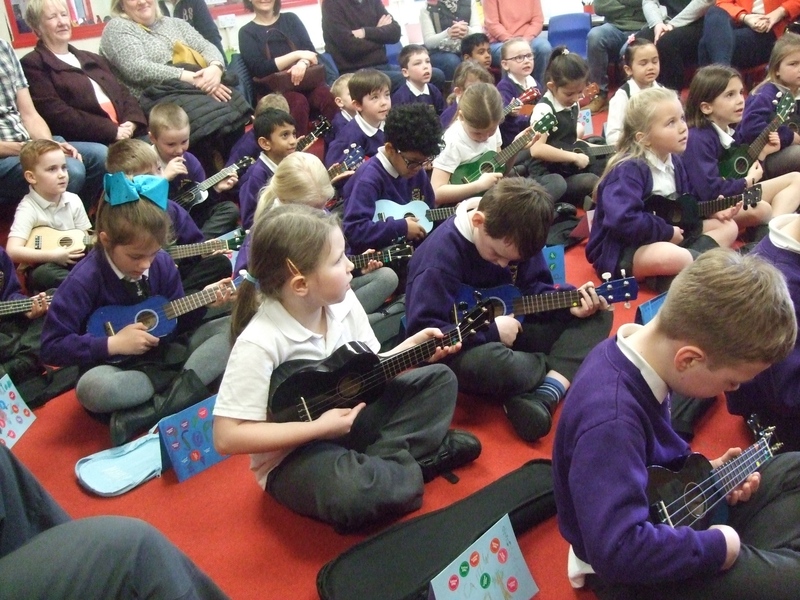 See you in the Summer Term! From the Year 2 team. The children in year 2 had a fabulous day looking at the physical and human features on maps. 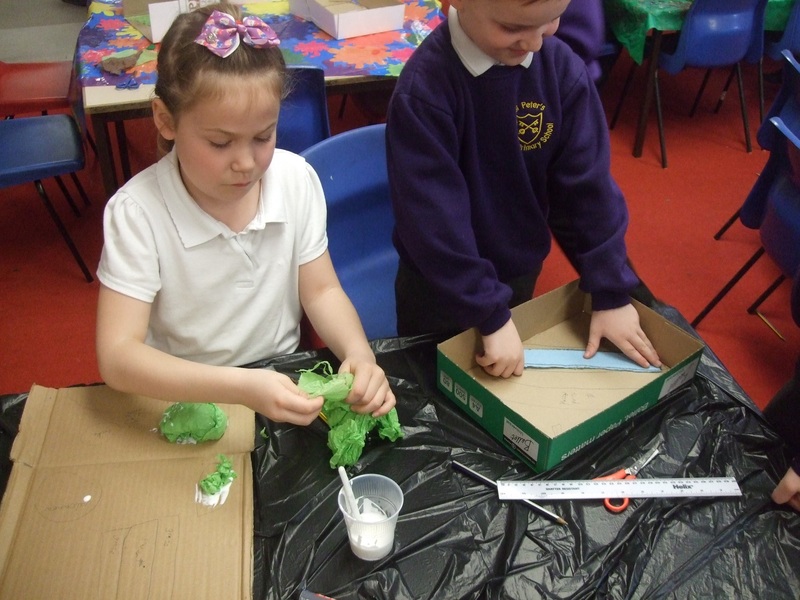 They then went on to make their own 3D map and labelled the features on it. 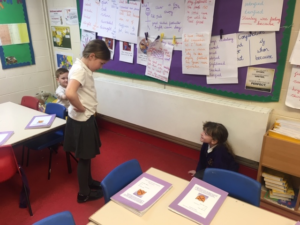 Please continue to encourage your children to log into SumDog to complete our maths challenge. 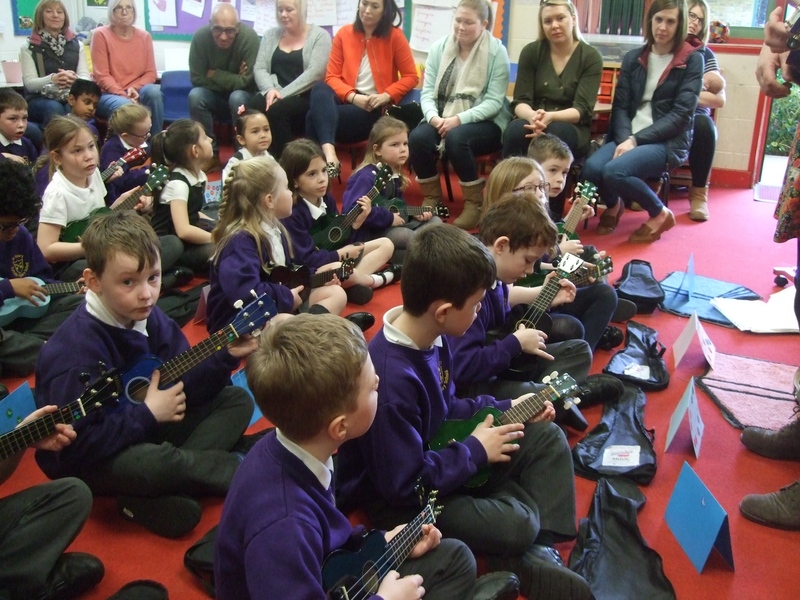 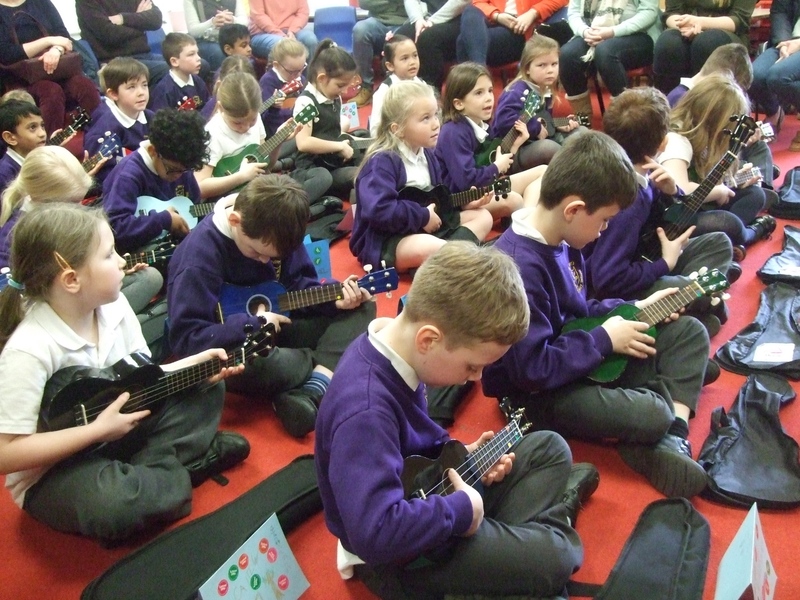 The children had a wonderful time performing what they have learnt in music this half term to all their families. 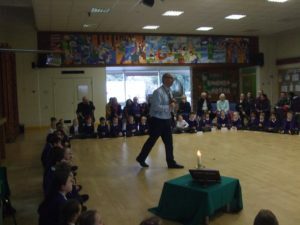 Thank you to everyone who came to support them. The children have enjoyed planning and writing their story in the style of Flat Stanley who goes on an adventure to California in an envelope because he is flat! 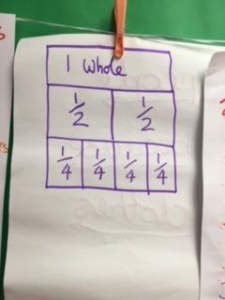 In maths we have been focusing on finding fractions of an amount. 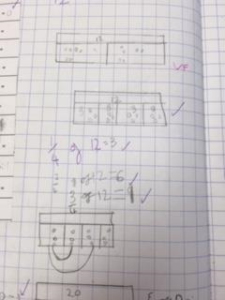 This included 1/4, 2/4 and 3/4’s. 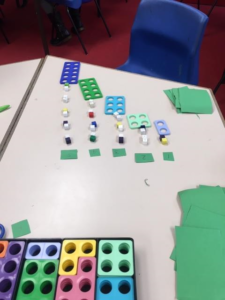 The children drew bar models to help them to solve problems. The children have also been finding out where bananas grow around the world as well as looking at the names of the continents that the countries are located in. Please continue to practise times tables as the children are really improving when they are completing their 5 minute challenges to see how many they can answer. 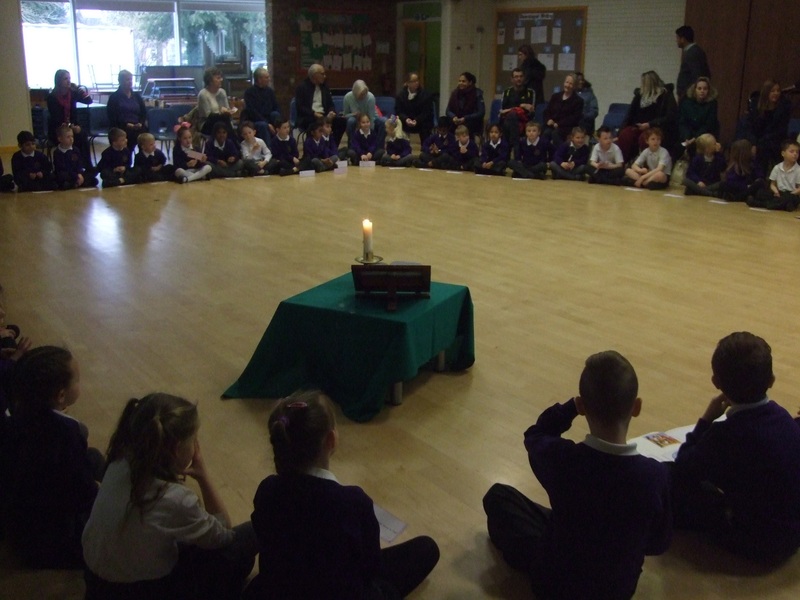 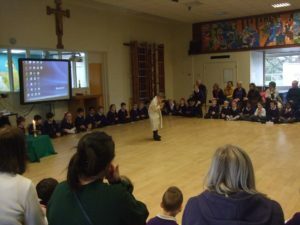 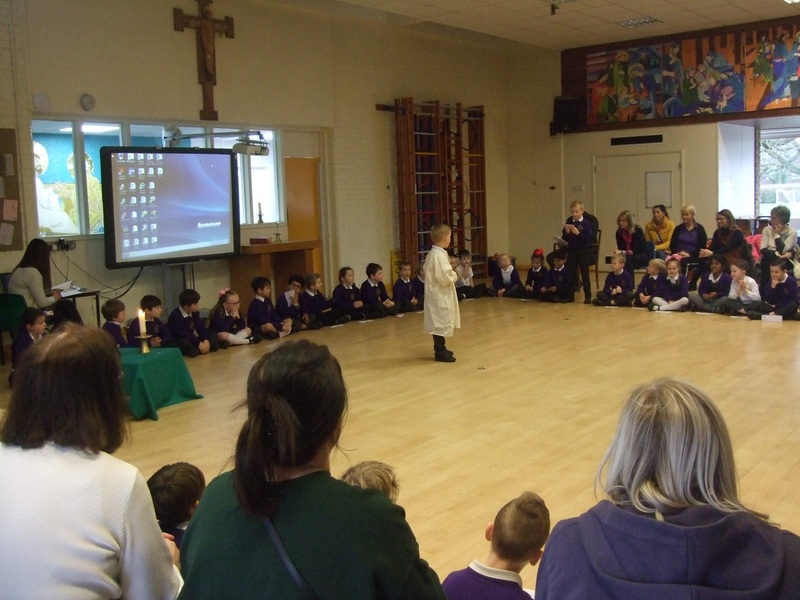 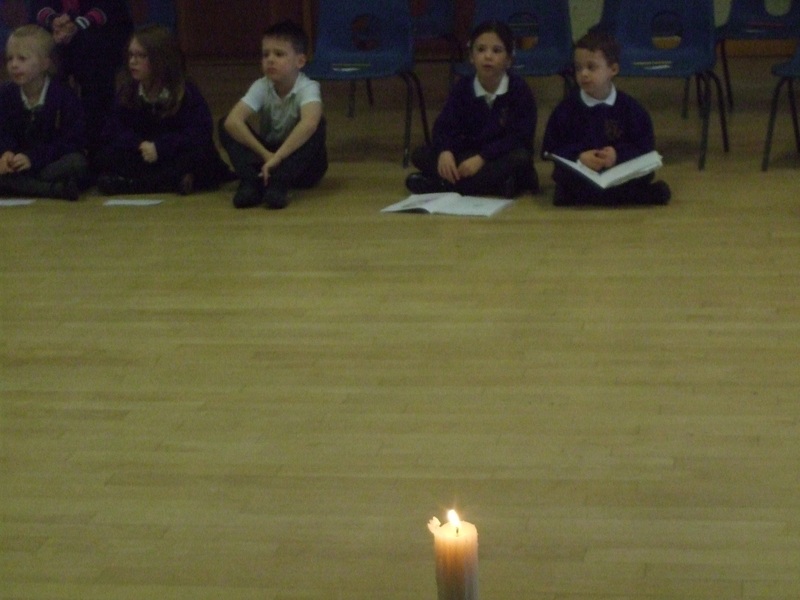 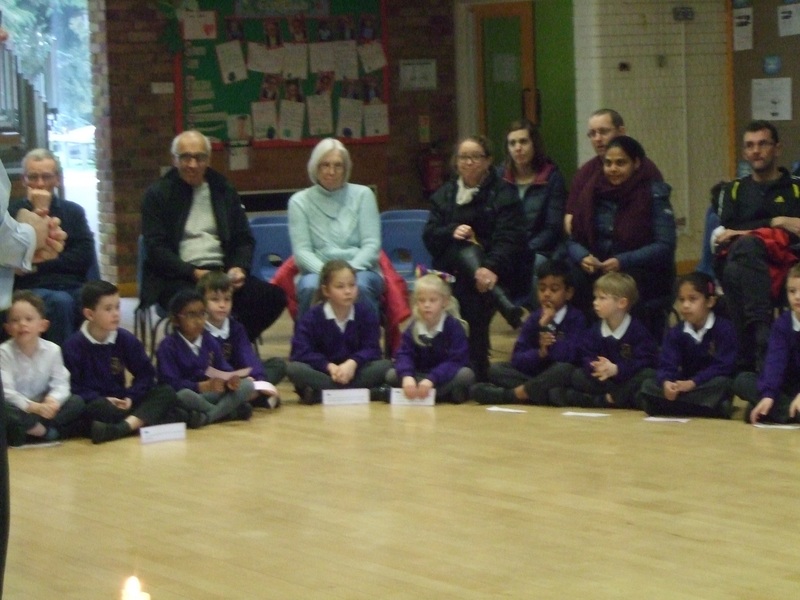 The children performed a wonderful liturgy as a year group to all their families and friends. 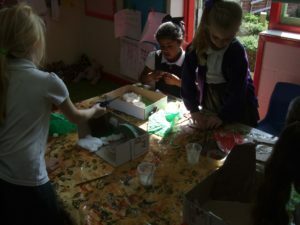 Thank you to everyone who supported them. 2A have their music concert on Monday 25th March at 11.15am in 2A classroom. We would like to welcome as many of you as possible to see what the children have been learning in music this half term. 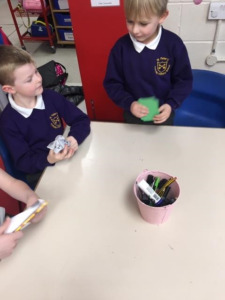 The children this week in maths have been playing games to help their recall of the 2, 5 and 10 times table facts. 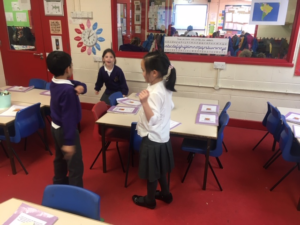 We are encouraging children to continue practising at home to improve their speed. 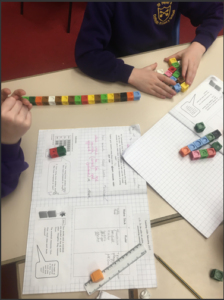 Some children used Numicon to help them to visualise the 2 times table facts. We played a game as a group where they had to listen to the multiplication sentence said aloud and they had to race against their friends to use the tools to help them say the answer. 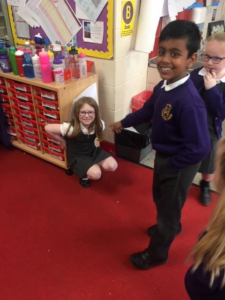 In English we have began looking at the story of Flat Stanley linked to our topic which is called ‘Where in the World?’. The children have enjoyed exploring the feelings of the different characters at each part in the story. 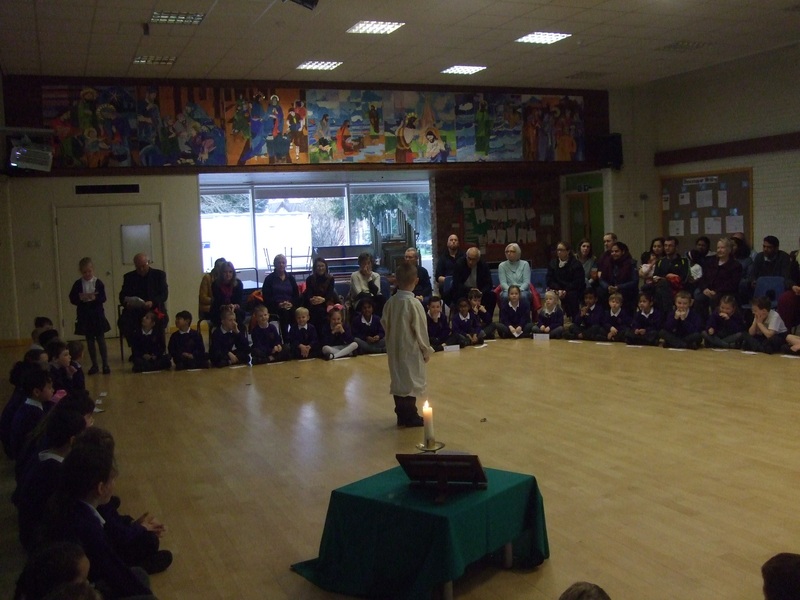 Just a reminder Year 2 have their Liturgy on Tuesday 12th March at 10.00am in the hall. You are all welcome to share this celebration with us. 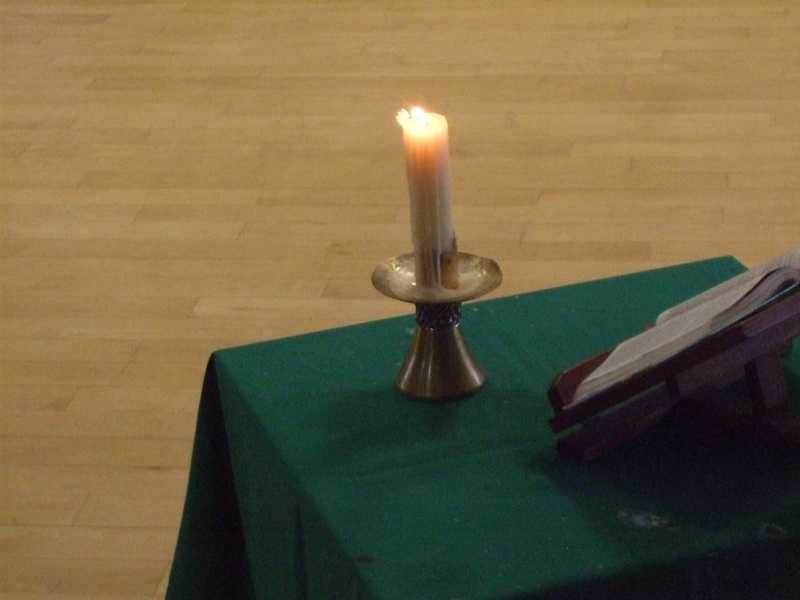 We hope you all have a great weekend. The children have had a great first week back with settling into learning so well. 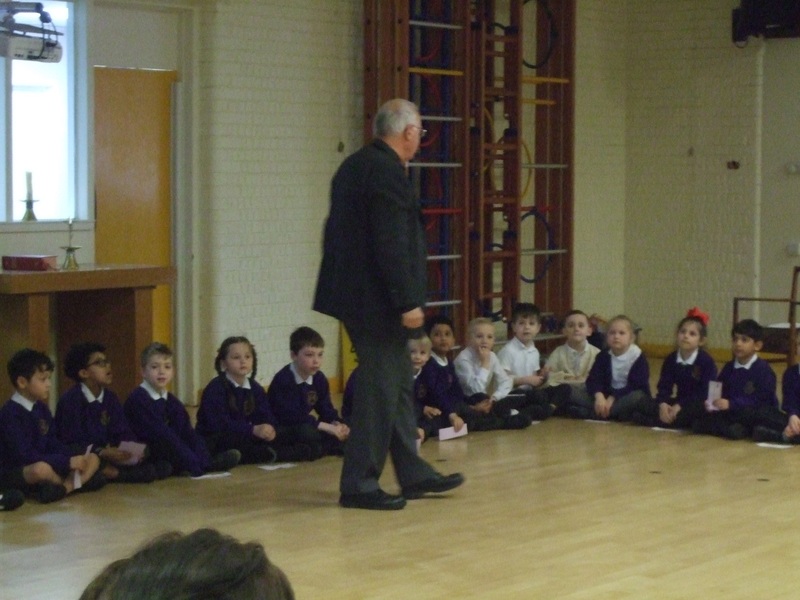 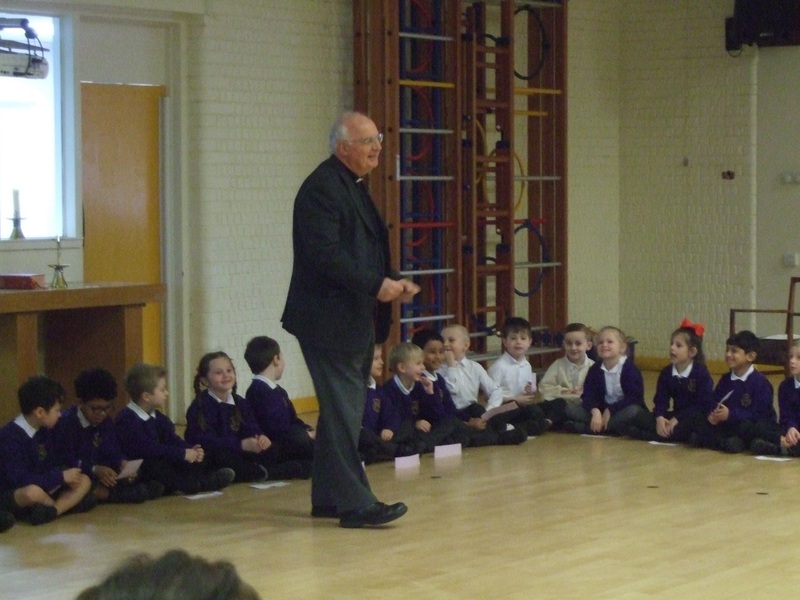 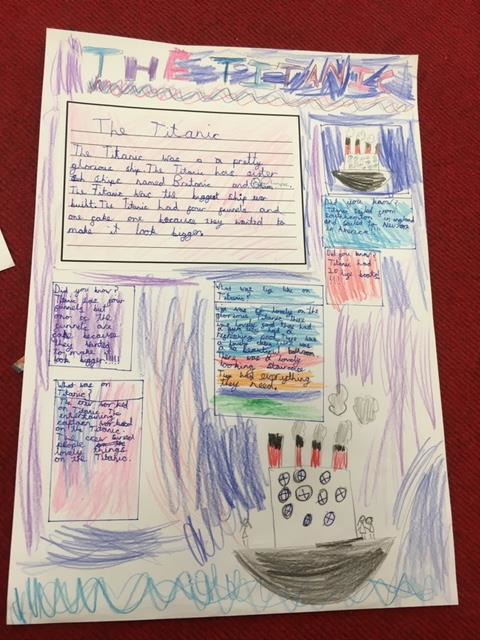 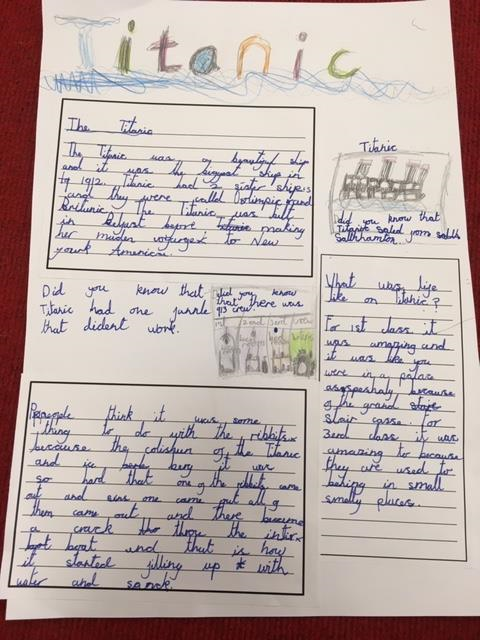 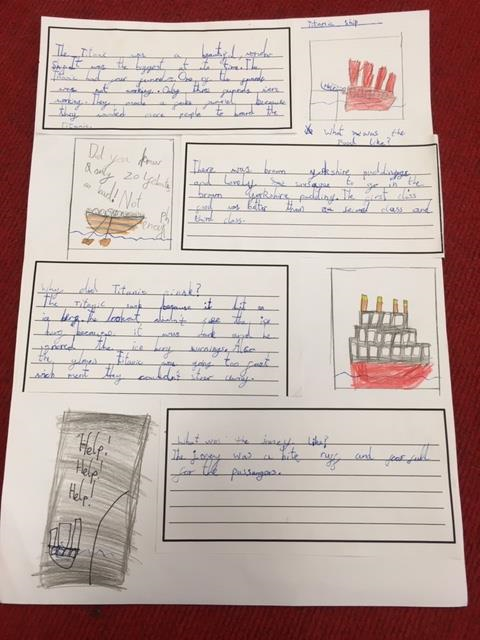 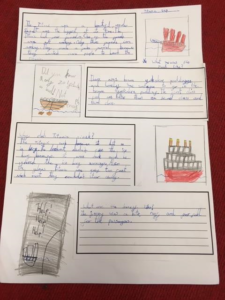 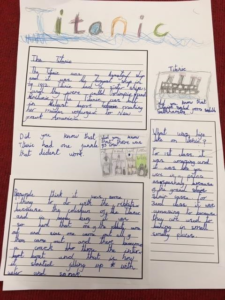 They have enjoyed publishing their non-fiction Titanic texts for the Sea City Museum. In maths we have been measuring objects around the room and understanding metres and centimetres. Encourage your children to talk about what measuring tool they would use to measure different objects around the house and why. 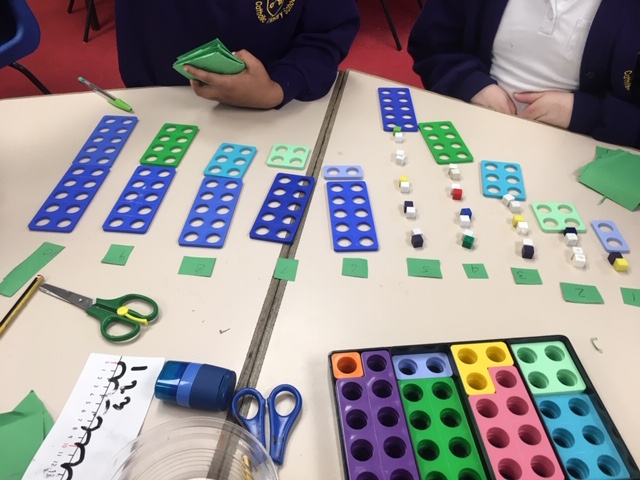 Please continue to practise the 2, 5 and 10 times tables with your children as next week we are making this a focus in maths for the children to be able to recall their facts quickly to solve problems. Well done to all the children who put a huge amount of effort into learning a poem off by heart and then performed it in front of the year group! 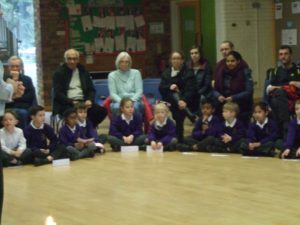 These are the children that we have put forward to perform in front of the school to be in the chance to be the overall winner for year 2…. 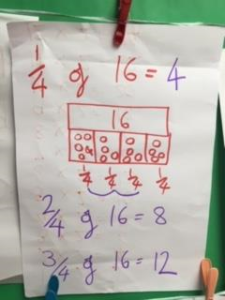 Please could your children continue to read over the half term break and practise recalling their times table facts for the 2, 5 and 10 times tables. Hope you all have a lovely break. 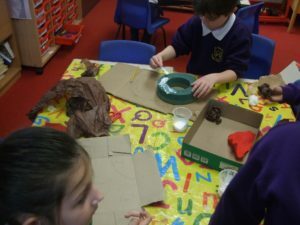 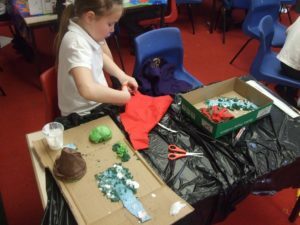 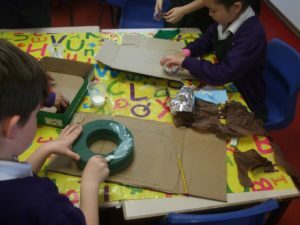 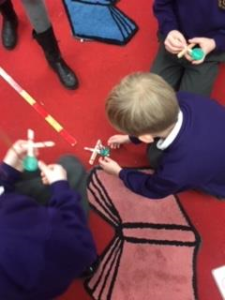 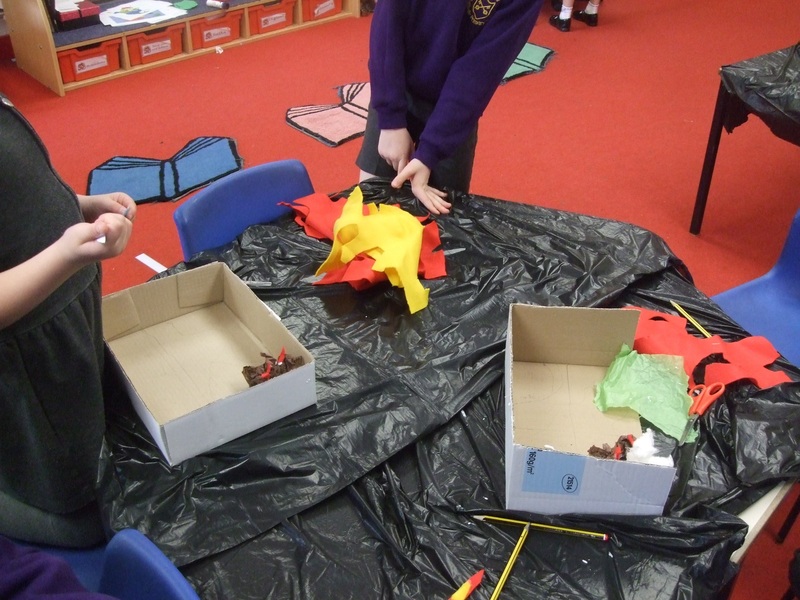 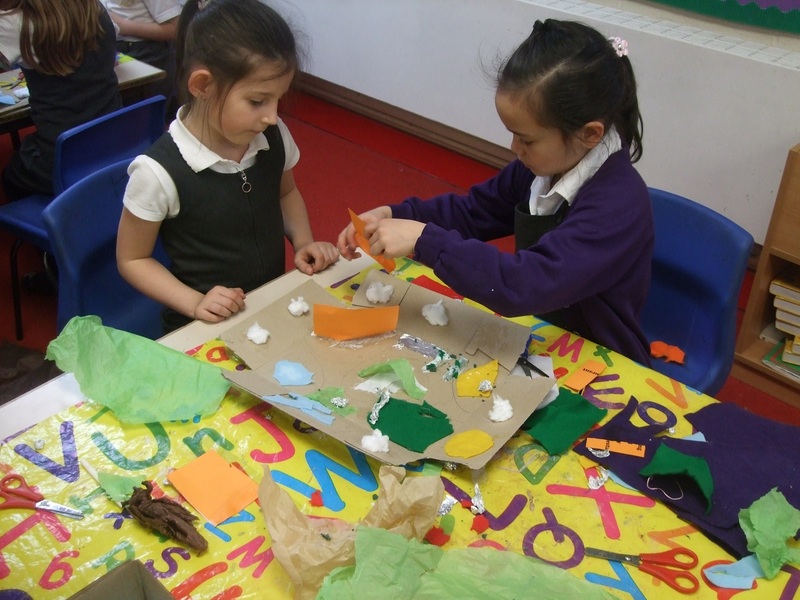 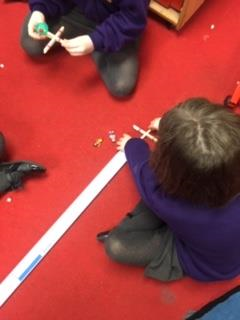 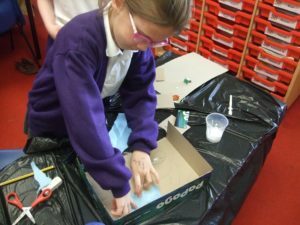 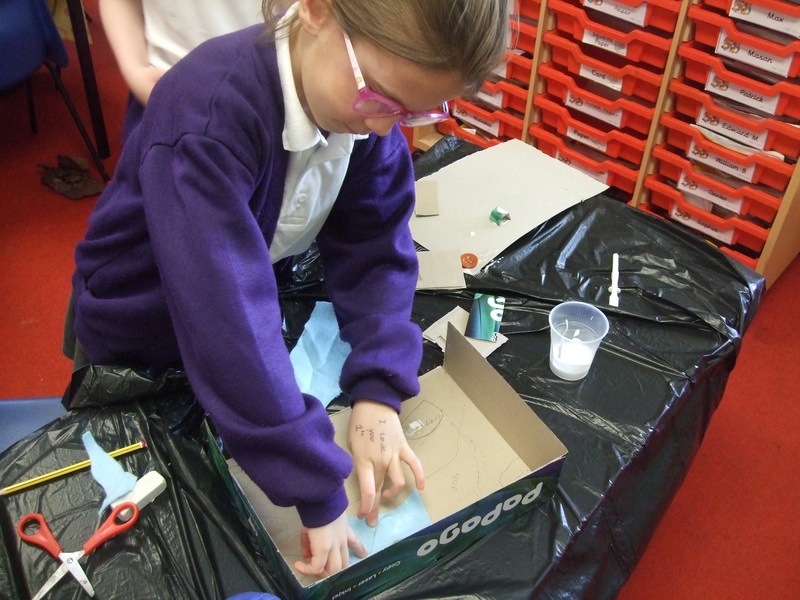 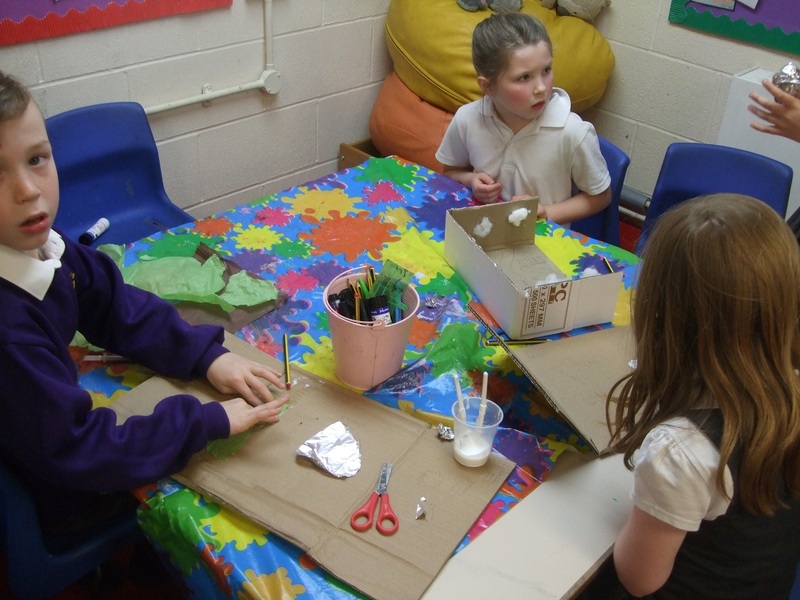 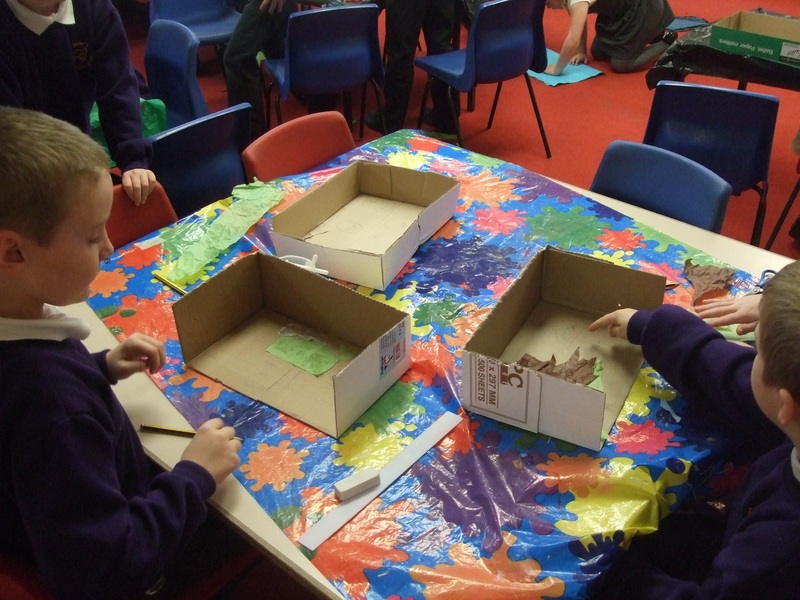 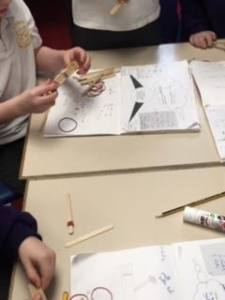 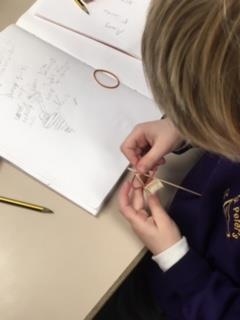 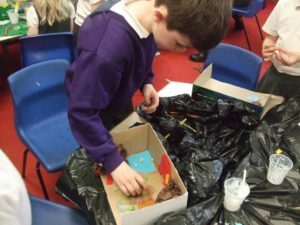 The children had a wonderful time in year 2 designing and creating their own catapult. They had to test to see how many lolly pops would be best to use to make their object fly the furthest. 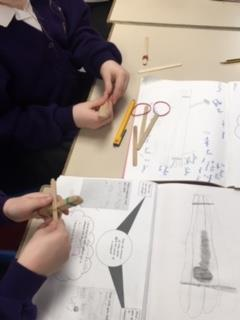 They then used metre sticks to measure the distance. 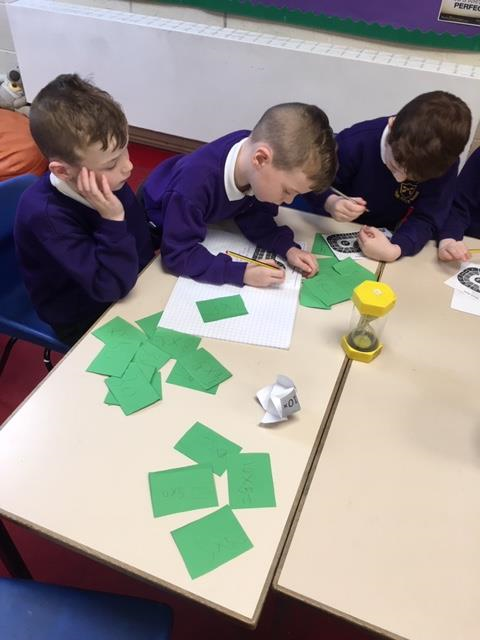 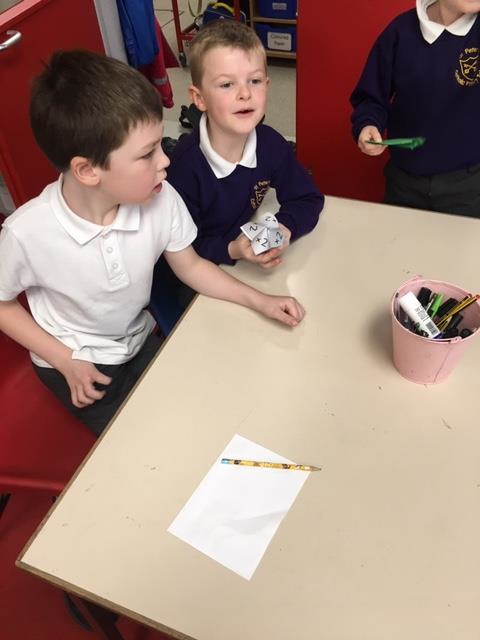 We are continuing to problem solve with money in maths where the children have to find out how much change they get when they spend a certain amount. 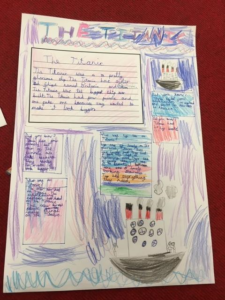 In English we are beginning to write our non-fiction text about the Titanic.